The Feng Shui Architect's Blog | FSA is about Feng Shui, Architecture, Taijiquan and Qigong – my passion, work and play all rolled into one. Many Chinese metaphysics practitioners have quoted this poem by Shao Yong since it touches on the practices like Feng Shui 風水, Bazi Suanming 八字算命, Qimen Dunjia 奇門遁甲 and Ziwei Doushu 紫微斗術, etc. There are few English translation availabal on this poem so I decided to have a go with my limited scholarship and understanding, your comments are welcome. “A Song on Observing the Yi (Changes)” by Shao Yong. A body also has its own Taiji. (I) need to know the division of San Cai at its root. Man relies on his heart to raise the Jing Lun. The Dao is not an empty journey it depends on man. 1. A “thing” 物 here refers to matters in the universe. 2. A “body” 身refers to its qi 器, or its vessel/container. 3. “Taiji” is translated from the Trigrams Qian and Kun, meaning Yang and Yin. 4. “San Cai” 三才 refers to the trinity of Heaven, Earth and Man. 5. “Ti Yong” 體用refers to the concept of “principle and function” or the “body and its usage”. 6. “Jing Lun” 經綸refers to theory and classification in Chinese thoughts, it can also mean silk-threading or to a clever statecraft. The first two lines of the poem can be expressed with the concept of “One item one Taiji” 一物一太極, in the sense that everything has its complementary opposites, so we need to decide what constitute one “item” or one “thing” under consideration, before we can look at its Taiji or Yin and Yang. The fifth and sixth lines are about the concepts of Ti and Yong (Principle and Function) in Heaven and Jing and Lun (Scripture and Classification) in Man. According to Shao Yong, one principle (or one body) has many functions (or applications), the ancient Chinese viewed the world from the centre looking out, he puts himself in the middle of the Bagua or the eight directions looking outward, to strive for a unity of Heaven and Man. For this reason, he needs to establish a center in a chosen “item” or “thing” to differentiate, but the two are not separate, they are held together as complementary opposites in a Taiji. The same applies to Man on Earth, theories and classifications (or clever statecraft) come out from Man’s “Xin”, or his heart/mind, by the way he observes and thinks looking at the near and the far, the large and the small, and thinking in a causal and correlative way at the same time, to find his efficacy. The unity of heaven and Man can be achieved by combining the “Li” 理 in Heaven and the “Xin” 心 in Man. The last two lines referred to the idea of the unity of Heaven and Man and the path to the Dao depends on the “Xin” of the Man and not on the numbers, symbols and images casted in the Yijing or other “Shu Shu” 數術” or “Numbers and Methods” in Chinese numerological metaphysics. Contrary to most people’s understanding, Shao Yong towards his later years, put his emphasis on the Xin (heart/mind) and not on the Shu (numbers and symbols), but he also acknowledged that they go together like Yin and Yang, to Shao Yong the idealistic and the materialistic are two sides of the same coin. The Dao is not an empty transmission it depends on Man. From a FS perspective, the main or front door in a house or a shop-front and the entrance to a retail shop is called the the “Na Qi Kou” 納氣口 or “Received Qi Mouth”, sometimes it is referred to simply as the “Qi Kuo” or the “Qi Mouth”. In the “Foundation of Yang Dwelling” part of the book “Gui-Hou Lu” 《歸厚录》(Record of Returning to the Profound), it is said, “A Yang dwelling is built on earth, but it is not only the Earth Qi that we need to consider but also how to take in the Door Qi. Let it be empty and open so horizontal movement is free, once the door is open, the Qi will enter from the door”. “阳宅作在地上，不专以地气为用，兼取门气。盖清虚之让，气本横行，门户一开，气即从门而入”. The “Qi Mouth” is like breathing that keeps us alive, the whole house relies on the Qi comes in and goes in in an unhindered way. The FS of the Na Qi Mouth keeps the a household happy and healthy, and the Na Qi Mouth of a business keeps its wealth flowing and the vitality lasting. We need to pay special attention to all the Na Qi Mouth(s) of a building, every time we do Feng Shui. Look at this lovely traditional shopfront window of a Miso Soup Shop in the Hiroshima Prefecture of Japan (pictures taken from the Window Research Institute of the Tokyo University of Technology). Sadly, we do not build like this any more. The Kiss House – How a broken-up house can still have good Feng Shui. This is a most read house on Dezeen in 2018, the Kiss House at a Canadian lake side by the architects from the Lazor Office. At first glance it seems to have bad feng shui because the house is broken into two parts, but with a closer look, the feng shui is quite good. The auspicious external Qi is gathered at both the front and the back to feed into the house. It is an elongated house, but to find the Taiji is not difficult, it is located where the two parts of family/adult and children/play are “cracked open” to create a “negative space” to see the lake at arrival, as mentioned by the architect. The facing presents an interesting challenge, my take is towards the middle of the triangular deck where the two parts come together. The Flying Star chart at facing NW1 P8 is not correct as I do not know the compass measurement for sure, but it gives an indication of how the star chart would look like. In an elongated house like this one, the direction at the two ends have more influence than others. In this case it is the S, SW. N and NE. Also it is a case where we can read the stars in the central palace to see the Gua Qi influence at the front door to the family/adult wing of the house having a 7,9 combination. The other entrance has a 1,3 combination. We can also use the Five Phase relationship to make a quick assessment of the house, the house is located near the water, the form of the house is Wood and the so called “negative space” has a Fire Phase terrace, being triangular in shape. We can say Water generates Wood and Wood in turn generates Fire, but the Fire is not too strong, so it leaves the occupants with some warmth and beauty for the environment and we can say the main Phase is Wood. I am sure the occupants will find enjoyment in this unusually broken-up-shape house. It is a good example how an unusual house can have good feng shui when done properly. It is a broken up house but if the two parts “kiss”, then the whole can come together again. Tags: Kiss House, Unusual house can have good feng shui. The Heaven’s Heart (Tianxin 天心) and the Taiji 太極 of a dwelling. Many Feng Shui students，especially the beginners，are not aware of the subtle difference between the Heaven’s Heart in a Flying Star chart and the Taiji of a dwelling, they mistaken them as the same thing. The Heaven’s Heart is located in the central palace of a Flying Star chart, it has the Luoshu number 5 as its Earth Plate due to the Flying Star chart is based on the Luoshu 9-Palace, in the middle of the palace it has the Time or Heaven Plate with a Period number indicates the time of the dwelling’s construction, it also has the facing Water Star and the sitting Mountain Star, giving an indication of the Gua Qi (Qi of the Trigram) influencing on the wealth/officialdom (power) and health/fertility (relationship) potential and tendency of a dwelling respectively. The Heaven Heart is a “numerical” place in the centre of a Luoshu, whereas the Taiji of a dwelling is a theoretical spot located in a dwelling where the Yin and the Yang Qi come together, it is the where the active with the passive, the substantial with the insubstantial of a dwelling would meet. To find the Taiji of a dwelling is to “Liji” 立極, or to find the Taiji, by doing “Liji” and by “flying” the stars from the Heaven’s Heart, casted over the floor plan of a dwelling, we can see where the Gua Qi of the sitting and facing is located and from these stars with an associated direction and a Trigram correlated to one of the Five-Phase, we can get a reading of the auspicious and the harmful potentials in each of the eight directions of the house by looking at their Five-Phase relationships with each other. Although the Heaven’s Heart and the Taiji are not the same thing, they are both reference points in which the Gua Qi numbers or the “Stars” are generated in the 8 directions. While the 8 directions also have 8 locations, the Taiji of a dwelling is not a physical place, it does not have a Trigram correlation, it is only a reference point, like the Heaven’s Hearth, to produce a Flying Star chart for us to contemplate, to find the answers that we are seeking in a Luopan compass reading. PS: This question gets asked quite often, “Is the Taiji of a house the same as its geometric centre?” They answer is they are not the same, but for all intent and purpose, they are close enough, unless the house is a very unusual one with the Yin and Yang part of the house far out of a reasonable proportion. Completion: 14 – 19 February 2020. This course is structured to provide 30 days (210 hours) of classroom attendance with 5 modules of 6 days each spread over fifteen months, plus post-graduate personal mentoring support to give you a full two years of continuous learning overall. The course offers a combination of in-depth theory, practical applications, on-site case studies done with face-to-face personalised teaching and mentoring throughout, providing exceptionally high-quality training. Students will learn all the required skills to become competent Feng Shui practitioners. You can download the details on teaching contents, class dates, teaching venue and fees by clicking onto the link below. Start off by asking yourself or your client what kind of colour is most favourable, what colour a person likes is also a colour that he or she needs and have a resonance with the person. Use this personal preference as a reference point to start looking at the colours. Then look at the Earth Qi, the visible and the physical things in a room, its existing colour and furnishing, the function of the room, the orientation and the lighting level of the room, etc. At this level you can discuss what is there with your client or your partner and the occupants, it is a tangible level we can work with without too much ambiguity. Only when you have a good grasp of the Human Qi and Earth Qi that you begin to look at Compass Feng Shui and the Jiehua remedies required. If colour is the choice then the colour used should be an accent colour that stands out in a particular direction but does not take over the whole room. The San Cai relationship also recommend that the ceiling colour representing Heaven should be lighter and less saturated and the floor colour representing Earth should be darker and more saturated while the wall colour representing Human should be somewhere in-between. Also, since everything has Yin and Yang, your colour scheme should comprise of a theme or a main colour that is more dominant with supporting and complimentary secondary colours that are complimentary in a harmonious relationship with the main colour. Gradation in tone and in hue should be gentle with the FS accent colour stand out but blended-in at the at same time. Let’s take an example of a colour scheme for a bedroom facing the north, and the couple has some wooden furniture that are quite dark already and they like green and “natural colours” and the floor has a carpet colour that that don’t like. Since they don’t like the carpet, maybe you can suggest that they rip up the carpet and expose the wooden floor below as a starting point. If they think a full timber floor is too cold for the room, you can always suggest a rug to lessen their concern. Now the ceiling can be white and the floor is natural wood, the room is not bright and the furniture is quite dark as well, Earth Qi-wise, the green tone that they like should be something that is light and can reflect light well but at the same time it should be a relaxing green with a strength that is somewhere between the floor and the ceiling. At this point you can take out the colour chart and try to come to a decision with the couple, a particular green that can be the main or the them colour for the room. The room is quite dark so attention should be paid to how to lighten it up, one way of doing it is in the window, by painting it white and having translucent white widow curtains, they can make the room brighter. When most of the decisions are made you can bring in the Compass calculations and they can come from different school, it can be Eight-Mansion or Flying-Star or whatever, but the colour used should be an accent one, stands out a little but not to be overwhelming. For example, if a Fire Jiehua remedy is needed it can be be a red painting above the bed or a red triangle fixed to the light shade next to the bed or both. 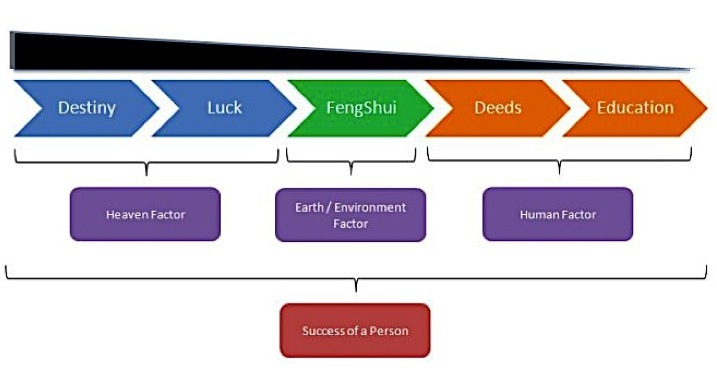 What is the Meaning of Qi in Feng Shui? We can see Feng Shui puts a lot of emphasis on the idea of “Zang Feng De Shui” 藏風得水 (to store from the wind and obtain water) to gather the Qi to benefit a tomb or a dwelling and its occupant From this we can see Qi is an important concept in Feng Shui, yet very few people, including many Feng Shui practitioners, have a clear idea what is this Qi in Feng Shui. With the advent of modern science, many Feng Shui theorists tried to use hard science to explain Qi, some think it is related to electromagnetism, while others to negative and positive ions and so forth, and the term “energy”, as used in science, is often equated to Qi, as though Qi can do work to fulfill our longings and desires, like wealth and happiness, with Feng Shui. 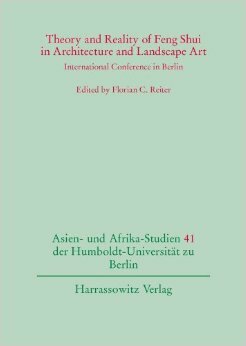 From my perspective, after studying and working with Feng Shui as a practicing Feng Shui architect, consultant and teacher for nearly 40 years, I think this is an inappropriate approach, because it is trying to explain a unique Chinese cultural heritage with a western world-view. To me, a better approach would be through a Feng Shui and a Chinese world-view, instead of a western paradigm. Look at Qi in Feng Shui not from a hard science point of view, but from a Chinese cultural and philosophical perspective instead. 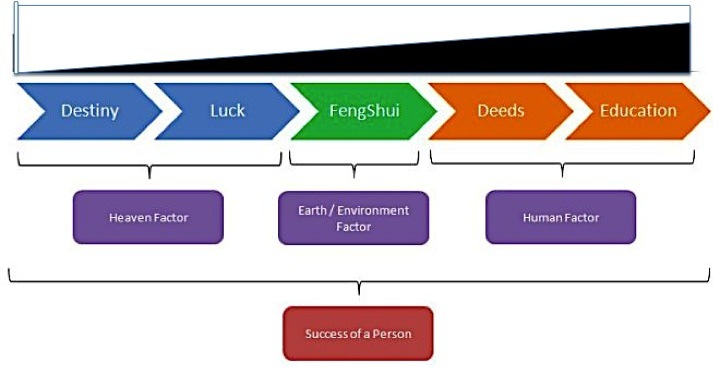 Three assumptions are made in a Feng Shui paradigm, the first is everything under the sun, be it organic or inorganic, has Qi, the second is everything that has Qi has Yin and Yang and the third is because of this continuum, everything is interconnected. So right from the beginning the Chinese sees Qi as a continuum and as a component of Yin and Yang. In p46 of Prof. Zhang Dainian’s “Key Concepts in Chinese Philosophy” (translated by Edmund Ryden, Foreign Languages Press 2002), he wrote from the Pre-Qi to the Han, Qi is understood as intimately associated with Yin and Yang and then he quoted an extract from a speech by the Grand Historiographer of Zhou, Boyangfu. Yin and Yang are the two aspects of Qi and when the Qi of Heaven and Earth is out of balance, then an earthquake occurs. then we can see Qi, as a theoretical construct, is a mean for the Chinese to link the Yin with the Yang as a continuum that would connect the Heaven above, the Earth below and the Human in us, to look at our relationship with the environment we live in, which is essentially what we do in Feng Shui. Sheng Qi is a result when Yin and Yang come together in a harmonious and balanced way, while the complementary opposite Sha Qi happens when Yin and Yang are out of balance and the life-enhancing Sheng Qi is prevented from taking place. That is what Gu Pu was referring to when he wrote, “To bury is to take advantage of the Sheng Qi” in the first line of this Zang Shu mentioned earlier. He was not talking about taking advantage of some geodetic force in the ground, he was referring to finding a balance between Yin and Yang of all sorts in their myriad of correlations, like high and low, mountain and water, front and back, left and right and so forth, all the physical attributes that would make up the Form Feng Shui school. But if there is form and everything has Yin and Yang, then there is also the formless in Feng Shui and to study the formless, we have the Compass, or the Liqi Pai – the formless Qi-pattern school. 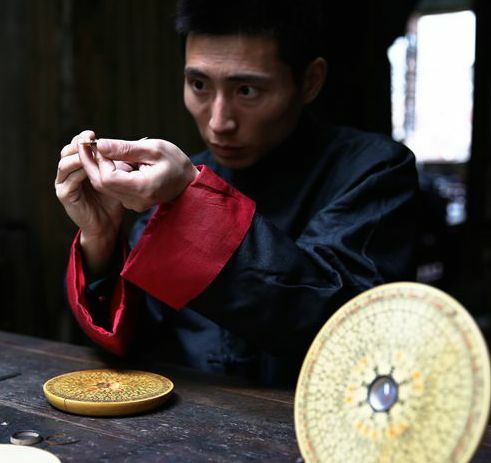 In the Liqi Pai, a Luopan compass is used to measure the directions of a house or a tomb. This measurement is then correlated to a Trigram and through the Trigram correlations or associations, the practitioner would “read” the Qi of the Trigrams, which eventually will correlated back down to the Five Phase relationships, and with the Five Phase (Wuxing 五行) – the five “matters” (in this case the 5 Qi correlations) of Water, Wood, Fire, Earth and Metal, and their potential to become, the practitioner can determine which relation is auspicious and which is harmful. As a result, we have the Wuxing Qi, or the Qi of the Five Phases to work with. Again, this Qi is not some sort of energy or force, but relationships that are either desirable or not, according to whether the relationship between the Five-Phase Qi is harmonious or out of balanced or otherwise. Through this definition for Qi, we can also explain some of the unusual expression or mystical demonstrations of Qi we often see in Qigong and Kung Fu, a good example is the so-called Empty Force (Lingkong Jin 凌空勁) – the ability to move another person without touching that person. The so-called Qi (Jin is defined as dynamic Qi) is a continuum of Yin and Yang and a continuum needs a connection, so to demonstrate this Qi, one needs a sender and a receiver. When the student as a receiver, is under the influence of his or her master as the sender, then the Qi of mutual resonance can take place and the student gets pushed over. But if this teacher tries to push a stranger, who is not connected to the sender, or not able to receive his Qi (i.e. no mutual resonance), then if won’t work. Not knowing the true meaning of Qi and the working of Qi, we mistaken it as some sort of super-human power beyond our understanding. Form School v Compass School Feng Shui. Many Feng Shui students and practitioners nowadays think the Compass School is more important than Form Feng Shui, very few is aware that before the Song Dynasty, there were no Compass Schools at all because the Luopan compass was not yet invented. During the Qianlong period of Qing Dynasty, the imperial court was so concerned that Feng Shui has deterioated to a point where the Compass School is beginning to overtake the Form School, that the members of the Imperial Astronomers Department, including the chief officer Gao Dabin 高大賓and his deputy Qi Kechang 齊克昌, banded together to write a book called, “Qin Tian Jian Feng Shui Zhen Lun 欽天監風水正論” – “The Imperial Astronomers’ Sound Arguments on Feng Shui”. The book repeatedly explained the real purpose to “Cheng Sheng Qi 乘生氣” or to “ride the Sheng Qi (that is to take advantage of the Qi that norishes and give life to things)” as mentioned in the first line of GuO Pu’s Zang Shu 葬書 or The Book of Burial, can be obtained by looking at the physical form of the land and not by calcualtions with a compass rerading. “The Liqi within the Yin and Yang and the Five Phase are to be found inside Luantou and not outside of it. Luantou (Form School) also has Liqi (Compass School) built within It”. What they meant was the Sheng Qi mentioned by Gua Pu is hidden in the form, it is not in the Luopan compass, when the Dragon (mountain range) rises and falls vigoriusly it has Qi, and when it sinks low all the way and disperses, its Qi disappears; when the landscape floiws and meanders, it has Qi and when it become flat and stiff, its Qi is gone; lush vegetation has Qi and slow dying vegetation has no Qi. The Qi that was talked about by Guo Pu is this kind of environmental Qi with form and not the so-called Gua Qi 卦氣 (the Qi of the Trigrams), or Xing Qi 星氣 (Qi ofthe Qi of the Stars), or Shi Qi 時氣(the Qi of time) and Yun Qi 運氣 (the Qi of Cycle of Luck). What the imperial astronomers wanted to say is the Form Schools had precedent over the Compass School, working with the tangible that has forms through observation and appearance is more reliable than working with the intangible that is formless by way of calculations. We tend to keep forgetting this and thinks that is the compass calculations that will give us the answers, whereas in practice form feng shui holds the key. When I read this, I was surprised how similar this is to the definition of Qi as expressed In Zhang Dainian’s “Key Concepts in Chinese Philiosophy”, translated and edited by Edmiund Ryden (p45), “Qi is both what really exists and what has the ability to become. To stress one at the expense of the other would be to misundertsand Qi”. To me this means until we can observe the outcome of an invisible Formless Qi 炁, like the Qi of our destiny(Ming Qi 命氣), the potential outcomne is all encomposing and it would be futile for us to try to make any accurate predictions. We have to “wait for our destiny”, as mentioned by the Confucian scholars, but meanwhile we can always try our best, so the potential outcome is a genuine one and not one predicted on paper by our Bazi or our Feng Shui or whatever a Chinese predictive method is used. We often make the mistakes thinking that the correlations used in making predictions are causations, whereas the ancient Chinese is trying to use the formless Qi of the Trigrams, the Stems and the Branches and so forth, through correlations, metaphors and associations to get us to look at the potentials of a situation with Chinese correlative thinking to “read” the invisible Formless Qi 炁 through the apperance of the visible Form Qi 氣. But we need to be mindful that they are potentials and tendencies only, we don’t know for sure and we should not pretend that we can know the future with certainty, we can only make an intelligent guess of what would likely to come, to help us to bring out into the consicous our longings and fears, so we can make an appropriate decision to do the right thing, at the right time and in the right place to be efficacious. Like the modernday scientists, the ancient Chinese philosophers used the concept of Qi in its form and formless state, to try to come to terms with the quantum mechanic of living, not with scientific experiements, but with philosophical concepts (Ti 體) expressed in technical applications (Yong 用), using correlations with numbers and symbols. We should keep Schroginger’s cat in mind, everytime we do a Feng Shui consultation or a Bazi reading, and not to pretend that we can tell the future but to use different modes of thinking to make an intelligent guess of the future to help us to handle the present. IS THERE SUCH A THING as perfect happiness in the world or isn’t there? Is there some way to keep yourself alive or isn’t there? What to do, what to rely on, what to avoid, what to stick by, what to follow, what to leave alone, what to find happiness in, what to hate? This is what the world honors: wealth, eminence, long life, a good name. This is what the world finds happiness in: a life of ease, rich food, fine clothes, beautiful sights, sweet sounds. This is what it looks down on: poverty, meanness, early death, a bad name. This is what it finds bitter: a life that knows no rest, a mouth that gets no rich food, no fine clothes for the body, no beautiful sights for the eye, no sweet sounds for the ear. People who can’t get these things fret a great deal and are afraid – this is a stupid way to treat the body. People who are rich wear themselves out rushing around on business, piling up more wealth than they could ever use – this is a superficial way to treat the body. People who are eminent spend night and day scheming and wondering if they are doing right – this is a shoddy way to treat the body. Man lives his life in company with worry, and if he lives a long while, till he’s dull and doddering, then he has spent that much time worrying instead of dying, a bitter lot indeed! This is a callous way to treat the body. Men of ardor are regarded by the world as good, but their goodness doesn’t succeed in keeping them alive. So I don’t know whether their goodness is really good or not. Perhaps I think it’s good – but not good enough to save their lives. Perhaps I think it’s no good – but still good enough to save the lives of others. So I say, if your loyal advice isn’t heeded, give way and do not wrangle. Tzu-hsu wrangled and lost his body. But if he hadn’t wrangled, he wouldn’t have made a name. Is there really such a thing as goodness or isn’t there? What ordinary people do and what they find happiness in – I don’t know whether such happiness is in the end really happiness or not. I look at what ordinary people find happiness in, what they all make a mad dash for, racing around as though they couldn’t stop – they all say they’re happy with it. I’m not happy with it and I’m not unhappy with it. In the end is there really happiness or isn’t there? I take inaction to be true happiness, but ordinary people think it is a bitter thing. I say: perfect happiness knows no happiness; perfect praise knows no praise. The world can’t decide what is right and what is wrong. And yet inaction can decide this. Perfect happiness, keeping alive – only inaction gets you close to this! Let me try putting it this way. The inaction of Heaven is its purity, the inaction of earth is its peace. So the two inactions combine and all things are transformed and brought to birth. Wonderfully, mysteriously, there is no place they come out of. Mysteriously, wonderfully, they have no sign. Each thing minds its business and all grow up out of inaction. So I say, Heaven and earth do nothing and there is nothing that is not done. Among men, who can get hold of this inaction? then we can see Qi, as a therectical construct, is a mean for the Chinese to link the Yin with the Yang as a continuum that would connect the Heaven above, the Earth below and the Human in us, to look at our relationship with the environment we live in, which is essentially what we do in Feng Shui. The character for Qi is written with the radical “rice” below the radical for “vapour”. Rice is substantial while vapour is the opposite, when ric is cooked it sinks to the bottom while the vopou rises, so even the written word for Qi is associated with Yin and Yang. The term Feng Shui (wind and water) also expressed the same sentiment, with wind being the active and water being the passive agent in nature. 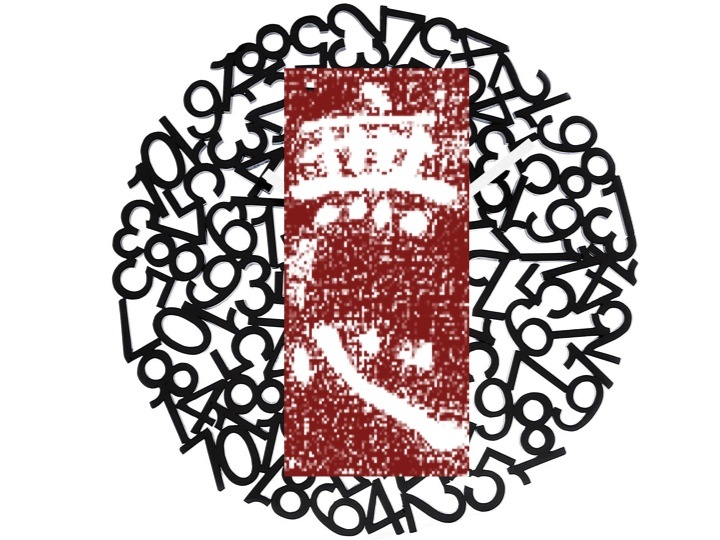 Calligraphy by Wang Xi-Zhi (303-361 AD). The other day, one of my students asked me about the future of Hong Kong, after 20 years of handover, from a Feng Shui perspective, so I took out a satellite map of the Pearl River Delta Region of which Hong Kong is located at the end of the same Dragon Vein embracing the region and said to him. 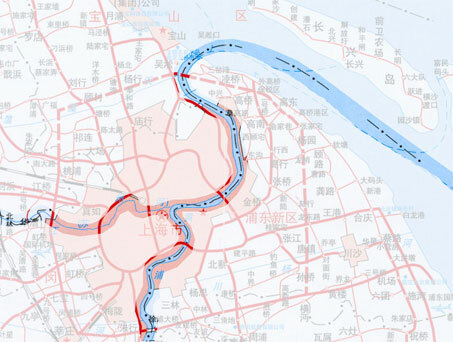 It is very obvious to me looking at the map, the greater Mingtang or the ideal Xue (FS Spot) is located to the south of the city of Guangzhou, thus in the long run, the prosperity of the region will shift north-west-ward from Hong Kong. This was not possible before the handover because Mainland politics have cut off the regional connection through Human Qi, but now the political situation has changed and the region is opening up and consequently the Earth Qi will re-exert its influence aided by the human desire to make the region into one big basin. The shift will start with Shenzhen and it is already happening now, this shift is mirrored with Macao to Zhuhai on the White Tiger side, but Hong Kong will never die out because it is located on the Azure Dragon, the Yang side of the Four Animals model and she will continue to play an active part, but not the only part in the region any more. That was the answer I gave my student with this map shown below. Qi Zhen Ba Fa 奇針八法 – The 8 Abnormal Luopan Needle Movements. 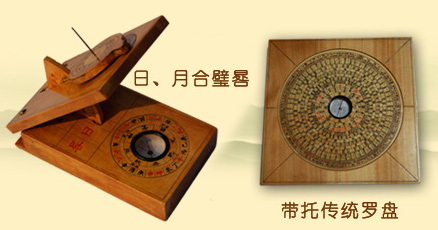 The Chinese Luopan Compass with all its esoteric markings like the Yin Yang, the Wuxing, the Bagua, the 12 Life Cycles, the 24 Mountains, the 28 Lunar Mansions and the 64 Hexagrams etc., have always captivated the Chinese, who often felt that this instrument is magical and it has a supernatural quality unlike the ordinary compass. So, when the needle in the Tian Chi, or the Heavenly Pool, moves in an abnormal way, the Chinese would see it as a sign that the site is possessed by some malevolent spirits. Some practitioners would capitalise on this folk belief and promote the idea that they have the supernatural ability to see ghosts and spirits with the Luopan compass. 1) The Unstable Needle. 搪针. The needle keeps moving, not able to remain still and it does not align with the middle. This indicates that the site has abnormal rocks below and whoever live there will encounter disaster and calamity. If the needle hoovers over the Xun, the Si and the Bing directions then there are antique remains to be found there and the site will attract wanton women, shamanic practitioners and lonely bachelors. 2) The Rising Needle. 兑针. It is also called the Floating Needle, the head of the needle is tilted upward, this indicates a presence of benevolent Yin Qi and the source comes either from the deceased ancestors or from some protective spirits. 3) The Sinking Needle. 沉针. The head of the needle is tilted downward, this also indicates that there is a presence of Yin Qi but in this case, it is neither protective nor harmful, instead it indicates the deceased has met with an unusual and an unjust death and felt uncomfortable being buried without a resolution. 4) The Turning Needle. 转针. The needle cannot stop rotating, it indicates the presence of malevolent Yin Qi, the Qi of hatred and resentment will not dissipate and whoever live there will be physically harmed or emotionally hurt. The needle is half sinking and half floating, it tilts alternatively upward and downward, neither all the way to the top nor all way to the bottom. It indicates that there is a grave below and and whoever live there will experience sadness, gossip and lawsuits. 6) The Inverse Needle. 逆针. The needle does not sit on the central line smoothly and the head tilts to one side or the other. This indicates that the place will produce a rebellious person and both the person and the wealth will decline; there is no good feng shui to speak about. 7) The Inclined Needle. 侧针. The needle has stopped but does not return to the central line. This indicates that the site is suitable only for a temple or a religious alter and not for a residential dwelling. 8) The Proper Needle. 正针. The needle leans neither to one side nor the other, it sits steadily and it aligns with the central line. This indicates that the site is a normal one and one may consider different aspects with discernment. PS: Anyone who uses the Luopan compass long enough would know that it is not unusual for the needle to behave in an abnormal way occasionally. Some would prefer to look for a physical cause, while others would believe in a supernatural one. The choice is up to you. The reference I used on the Qi Zhen Ba Fa comes from a Taiwanese Feng Shui teacher called Yan Shi 顏仕, he is the Principal of Dahan Yijing College. I understand he wrote about the 8 Abnormal Needles after doing his own research from writings of the past on the Luopan compass. We still have a couple of vacancy left foe a small group tour on a Friday afternoon before the Self-Activated Talisman workshop. The tour will last for three hours with a comprehensive copy of notes given out to the participants free of charge. Come and join us! Tags: Feng Shu StudyTour of Rome., Feng Shui Roma. The other day I was asked this interesting question about the annual flying star, which is a question of concern during this time of the year. How big of an effect are the annual flying stars to a home’s Feng Shui? Or rather how should people be using this info to benefit their Feng Shui? The annual flying star is based on the Luoshu, which is a general representation of the universe according to the ancient Chinese, where the even numbers represented the square Earth and the odd numbers represented the circular Heaven above (see picture below). Consequently the yearly flying star is a pattern language using correlations to represent space-time and the regular cyclical changes in Nature. The annual flying star is not meant to be a specific picture of what would happen in the coming year in the 8 directions, it is there to stimulate us, using correlative thinking, to think about our relationship to our environment with our fears and longings in the present, so we can make plans for the new year. The effects in the different directions suggested by the annual flying star of all sorts should not be taken literally, just like when we are born in a certain year we are correlated to a certain animal. This animal is only a metaphor of what we could and can be, we are not literally that animal. But this information can be used to examine different space in our house, we can use the chart to reflect on our hopes and our fears for the coming year and also how to plan and manage another 12 months, knowing that things will always go up and down in cycles. For example, if there is an indication of theft and robbery in the South-West because the 7 Red Metal “Broken Army” Star of Robbery has landed in this direction in 2017. Don’t panic, the 7 is not going to cause you trouble literally, it is just an indication that there could be some issues relating to the 7 and its correlations in this direction, so check what is there? Is the security sound? Is the security of the house a concern? Did you renew you household insurance for next year? And so forth and if it still worries you, put up a picture with blue colour or with a water scene there because Water can weaker Metal and in this way you begin to redecorate and to refresh your home for the new year as well. That is how it could be used to benefit our feng shui and enrich our life at the same time annually. Tags: Annual Flying Star, How to take advantage of the annual Flying Star. Xuankong Mingli (XKML) 玄空命理, or Space-Time Flying-Star Divination, has a different way to look at the yearly stars than the usual ones we encounter in the market place every year. Instead of just looking at the stars on their own and ended up, most of the time, the directions where the four Purple-White Stars (1, 6, 8 and 9) fly to become the most auspicious directions with the other four directions being inauspicious, XKML uses the yearly star on duty as its host and then look at the Five Phase relationships of the other eight stars. Not only there is a Host-Guest and a Five-Phase relationship to consider, XKML also uses timeliness of the stars and the seasonal strength of a star to make a final judgment on the desirability of a direction for each year. “The Nine Purple Star provides residents of Southeast-facing houses with a blissful year in 2017. You will have a smooth sailing year as there are no inauspicious stars present this year”. 9 is declining while 1 is timely, timely Water controls 9 Fire, but because the Fire Qi of the 9 Purple is located between the seasons of Summer and Spring, it is rather active with vigor, so the Water cannot put it out fully, but in the conflict the vitality of the 9 Purple Fire is injured. If we take, host-guest, timeliness and seasonal strength into consideration when we look at the relationship between the yearly star on duty and the other 8 stars, then the SE is not as auspicious as some would suggest. Instead it would be desirable to introduce some Wood into the SE to make sure that the declining Qi of the 9 Purple Fire in this direction can remain prosperous during 2017. We have only considered one direction, when we use the XKML way of looking at the stars, then the outcome can often be very different. It is not to say XKML is right and the other way of looking at the stars is wrong, I simply want to point out that when we use numbers and symbols (that is the Stars) to make a prediction, they need interpretation of the correlated numbers and symbols and each school has a different way to consider the Stars, so please take these yearly predictions with caution. Tags: Flying Star Divination., Xuankong Mingli, Yearly Prediction using Flying Star. A Yijing reader is not a fortune-teller, he or she facilities in a process of self-reflection and self-discovery using a synchronistic picture of one of the 64 Hexagrams randomly casted as a prop. Disclaimer: I have not ask this person for permission to post up our conversation, although you can read it in full in her Facebook, if she raises any objection I will take it down straight away, so please read it before it disappears. I hope you can gain some insight from reading our conversation of how a Yijing reading is carried out in practice. Thank you for your understanding. Well, night before last I dreamed of dinosaurs stomping a shopping mall. I was shopping there. (Although I go to a mall about once every 5 years) Then, last night I dreamed I was driving and my steering wheel broke in half. Something’s up. I’ll be glad to do an I Ching reading if you like to find out what’s up. Just let me know! Haha….that’s ok. I think I have it figured out. We’ll see, anyway. Sometimes it’s better if someone else does the dream interpretation, no strings to the answer. Another the night before last included a dead relative who never shows up unless someone is headed her way. sigh. Let’s hope it’s someone nobody likes. Are you sure you don’t want a I Ching reading? Then it’s needs at least 3 reads. One reading with 3 moving lines? That would be interesting, wouldn’t it? Anytime you want I can cast one for you. Thanks. If you want to, go ahead whenever you want. It might be a great learning experience for us both. I can see old issues coming back to haunt me..or just old issues causing trouble. Dinosaurs…you may need to discard your old ways… hmmm. Or could be someone else … from the past coming to cause trouble. An old relationship perhaps…family comes to mind. Looks like I’m set to get robbed. It’s obvious to me but you have to come to this point. Don’t be so damn cryptic! If you have something to say, say it. I know what I think it says. I’m wondering if I should allow myself to be robbed or not. It is not about robbery it is about you. Again…just say what you think. OK, background on this week…I’ve been working on finding out more from my lawyer and dreading the upcoming fight with my sister. My lawyer is a woman…which seems to show up on the hexagram. The second and the fifth Yao line are the core line of the two trigrams and they are moving, and that indicates the core of you is changing, this is also reinforced by the dream of dinosaurs stomping. These are the dinosaurs…my relationship with my brother and sister. So, yes…my relationship with my siblings has changed.,,and continues to change. Their relationship with me is the same it always was…I’ve discovered what has been hiding behind the curtain though…and it’s been since we were small children. So, it’s all good. I want justice, but that can never be. So, we will see. Or it could be something completely different. Who even knows anymore? It is not about justice, it is about peace of mind, like a calm lake on earth. You will lose control for a while but…. Peace of mind comes with justice. ;-) But, again…that isn’t going to happen in the normal way. I just remember that we all have a part to play, so do my siblings. I can only assume they have played their parts well. Sure had me fooled. ha. So, whatever happens is just going to have to be fine. It will be fine, but only if you are willing to change, little by little…. The peace of mind will come after the conflict. I only have to do what I think is the right thing. While using kindness and not revenge or hate….or even anger. The change in the fifth Yao line tells you to rediscover your feminine side, whatever that mean…. And, actually…I’ve been very patient with all of this. I didn’t want to have to hire a lawyer just so my sister will disclose what she’s been doing with our mother’s estate. But, I’ve been hearing “you don’t need to know that” long enough. ha… Well, I kinda do need to know that. And, I will not sign her documents without advice from an attorney. So, there’s all the conflict. I’ll be glad when it’s over. t is absolutely disgraceful that it has to come to this. My parents would be horrified. The month break Yin/brothers line shows that my brother has already received more than his part of their inheritance…before they died…so it’s basically a sister vs sister. There’s a lot in this hexagram. The last moving line is from a Yang Yao to a Yin Yao then you can reach Cui – Bringing Together. With the subject moving to Mao…it controls the object Xu..which is also money. in between though…the Officer/ghost moves so I’m calling this the lawyer…and that whittles at the future subject, doesn’t it? It won’t bring me and my sister together. Our relationship was spoiled from the time she was born when our mother put one child against the other. I didn’t “bite” (no parallel in my chart, so no competition) so she turned the other two against me without me suspecting. Until my dad died I had no idea. ;-) Well there you go. The commentary by Alfred Huang: “Bring Together. It is bring people together: Devoted and joyous. The firm is central and has correspondence. Therefore people come and assemble together. Sounds nice, but not likely. Their hate runs deep; can your love run deeper? Well it is not for me to tell nor for you to answer, it is spoken by the Yi that shows a way to resolution. Here ends the reading, good night. Reading Hwang’s version though…only the third Yao is read…humiliation. I think all the Yaos are important else they wouldn’t bother moving. Tags: I Ching, Yijing Reading. What is Qi? Is Qi the same as Wind or Energy? IS QI THE SAME AS FLOW OF AIR, WIND OR ENERGY? The answer is the flow of air or wind has Qi but it is not Qi in its fuller sense, because Qi in Feng Shui is made of Form Qi and Formless Qi, similar to Einstein’s theory of relativity that energy and matter are interchangeable, from his famous equation E = mc2 so we have to look at the two parts and what effects their relationship has to each other to use the term Qi. Form Qi, as the name implied, has form and a shape, it is manifested, tangible and visible, it is also measurable and quantifiable, whereas Formless Qi has no form, it is un-manifested, intangible and hidden, it is not measurable and not quantifiable, it can only be felt individually. Form Qi is something that actually exists, while Formless Qi has the ability to become but not yet manifested, and we cannot pull them apart when we talk about Qi in its totality because they are the complementary opposites to each other like Yin and Yang, one cannot do without the other. This idea that there is Form and Formless Qi within each other implied that Qi is in everything and Qi is everywhere, it is both material and spiritual, it combines “potentiality” with “matter” and we cannot just see it as matter on its own, neither as potentiality by itself. That is why it is so difficult to define and measure Qi, because it is a thing and an idea and it is also concrete and abstract at the same time. 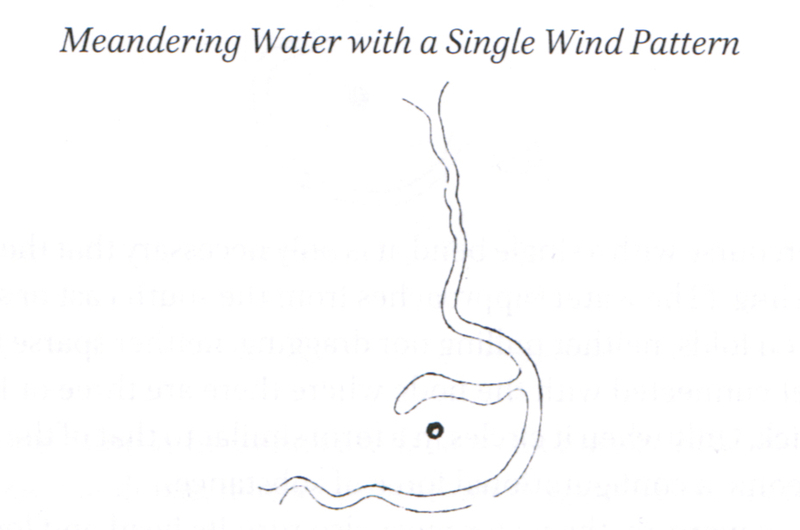 With this in mind, let’s get back to question, “Is Qi the same as wind”? The answer is yes when we talk about Wind Qi, but no, when it is only about wind as a physical force that we can measure its effect but not its potential to become. So in a way we have to speak about wind and its “windiness” before we can say it is Qi, because Qi is more than energy, it is energy that has the potential to become matter while remaining what it is. Likewise, Qi can be matter, but is more than matter, which has the potential to become energy or a force while remaining what it is. Kolping Hotel Casa Domintila has interesting feng shui, looking at it from the front it is like a person with two arms stretched out (Christ on the Cross?) and because of the land restriction, one of the arm has to fold in on an angle. The centrepiece has a Metal phase, supported by Earth of the brickworks above and to either side, plus a little bit of horizontal Wood to give it some interest. Unusual for a hotel, the reception is located below ground level with a restaurant above and a chapel sitting on top. The architectural composition reflected the character of housing pilgrims on their journey well, at the end of the day, the pilgrims need food for their stomach and worshipping their Lord, more than feeling welcome. I only wish the architect could have done a sunken courtyard in front of the reception area so there is an inner Mingtang on the lower level to collect the Qi of warmth and affection as the visitors sign into the hotel. On the whole I much prefer this kind of hotel with meanings to some of the soulless modern varieties that we see in so-called the international hotels, which look at same all over the place, whether we are in Beijing, New York or Rome. Tags: Feng Shui of Hotel Casa Domintila in Rome, sunken Mingtang. This Byzantine Monastery of St. John the Divine is located next to the huge Roman Cisterns at the ancient city of Aptera. It is believe to have been built in the 7th. Century AD and remain in use until 1964 when it is abandoned permanently. 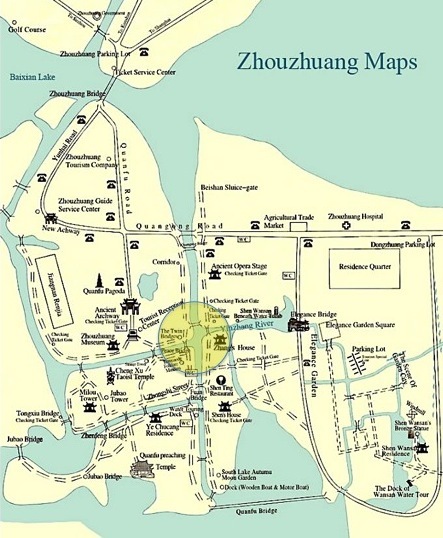 The layout is very similar to a traditional Chinese courtyard house and if we take the North as the sitting direction, where the chapel is located, then according to the Bazhai School of Feng Shui, it is a Kan House with the Door at Xun, where the auspicious Sheng Qi Wandering Star is located (see Bazhai map below). I know it is not how the original builder would have envisaged, but I find it interesting to see it from a Feng Shui perspective. The irregular shape of the courtyard gave a distorted perspective and made the courtyard seem larger than what it is as one enters from the main door. In Feng Shui it is called a “money bag” shape. It is quite a pleasant surprise when we walked into the courtyard from a harsh landscape, it is cool, calm and welcoming, like entering an Oasis from a desert. In contrast to other monasteries of later periods in Crete, the chapel is not located in the centre along the East-West axis, but it is located to one side and is quite moderate in size. This made me think may be the idea of a Community of God has given away to a Worship of God over time. I could not get my camera to work on the day, the last photo is taken from a Crete tourist site. I have done this prediction one day before the first debate on the 27th. September 2016, with Xuankong Mingli; not so much that the stars can tell the future with certainty, but out of my fears and longing for America to stay the righteous course, because her influence on the rest of the world is immense. I am not worry about the outcome of the debates I just hope the stars can give us the reassuring signs. I use the two candidates birth time to obtain their Ming Gua (Trigram of Fate) number and its associated Five-Phase, then I look at the stars (i.e. the Trigrams) for the year, the month and the day and see how time influence each of them to get a reading. Clinton was born in 1947, so she has a Ming Gua 7 Metal; Trump was born in 1946, so he has a Ming Gua 9 Fire. The yearly star on duty is 2 Earth, the monthly star on duty is again 2 Earth and the daily star on duty is 4 Wood. For Hillary, the year generates into her, the month also generates into her and she controls the day of election. For Donald, the year weakens him, the month also weakens him and the day generates into him. What generates into a person nourishes this person and what the person controls is his or her wealth and power. So the outcome looks much more favourable for Clinton, she will win the election but Trump will also benefit from the contest even though he loses out. For Clinton, being the first female president is what she wants and for Trump the whole contest is a stage for him and he would become even more famous afterward and that would certainly help his business in the future. The fear is that he might suffer health problems as a consequence, because the contest will ultimately weakens him as showed by the yearly and the monthly stars, whereas Clinton will grow stronger. Of course this might not happen at all, prediction is a risky business, whether we use Western science or Chinese metaphysics. Que Sera, Sera. Our Feng Shui Journey – On becoming a Feng Shui Architect. My Feng Shui journey of becoing a Feng Shui architect started just after I graduated from my architectural study in Australia, I was looking towards Feng Shui, my cultural heritage, to find a way to help me grow into a better architect, more humane and more in touch with nature. Recently we just finished a 2 years training program accredited by the Feng Shui Society UK and Europe and about to embark on a second program in the new year. In order for us to understand our potential students better, we asked them to tell us a little bit about themselves why they want to learn Feng Shui with a set of questionnaire. Today I received one reply and it touched my heart because what the student said is so similar to my search and my feelings at the time nearly 40 years ago. I asked her for permission to post it here what she wrote, by way of expressing my own longings to excel in our profession. “2. I am interested in Feng Shui for some years now. However, until now just being an idea rather than taking it seriously and studying it deeper. I would like to study it because to me it should be the basic and the primordial study and finding for any place occupied by people. It just happened that the Chinese were the ones very hard working to put it together and give it to humans as a structured writing and information. 3. We are part of the Whole which works perfectly any way, we as humans at some point forget to follow those principles and lows and forget to live together and started to go away and fall apart. We can not…we can see that clearly- we are part of the creation…one of the greatest and we should take responsibility of what we are doing and how we are living and mature. Some of the ways to learn how to understand , follow and be part of the whole is thru Feng Shui to me. In the way I live and what I do a significant part. There is a dream I have also about designing “THE DREAM”- a kind of self contained town/ village/space as I see it working in harmony with Nature and life itself, based on the 5 Elements, the seasons, the cardinal direction, flower of life, Platonic solids and the houses being spheres as the best form… based on molecule/ sell structure. Any way, working from time to time on that I realized that I need more knowledge and I can find a big part of it in Feng Shui. 4. It started back home with an article I had red in a magazine maybe 12-15 years ago. The whole writing sounded with a lot of sense and then later from time to time I will read a book or watch you tube videos to a point where I got confused of so many schools and left it for the moment being. 5. I work in an architectural practice, mainly dealing with Historical listed buildings but also some new and extensions. 6. Yes at this point of my life I think I am able to complete the two years course. 7. Yes I would love to serve and help people to live in a better place and better life and become better people if possible…. :) if I may and if/ when they are open and willing to take the journey. I will be very happy to apply my knowledge at work. 8. Most of all it is my journey and I am willing to take it- it is my personal seeking to develop my self and have the knowledge on that subject. Even if it just for that and for making my home , my parents and friends homes a better places it is great. Second of all I think at my work – I am designing people’s houses most importantly homes, whether new or old I am sure I can apply this knowledge (even secretly ☺ ) and make this places happy and make them live in harmonious places ( I would love to be the fairy and spread some Feng Shui magic dust around☺) .And last but not least this big Dream I have…Even it will sit on a paper at home I would love to make it proper. We never know…life is full of miracles. Tags: Feng Shui Professional Practitioners Training Course. Laughter is the Best Cure. Feng Shui makes good cartoons when correlative thinking is taken literally! I’d like you to… ward off evil spirits coming from the Inland Revenue office across the way. Conscious Awareness is The Cure. “To dissolve / to resolve (contradictions) / to dispel (doubts) / to iron out (difficulties) / to defuse (conflicts) / to neutralize (fears)”. When we look at the two characters separately, “Hua” can mean to transform and to neutralize, and “Jie” can mean to understand as in “lioajie” 了解 and to explain as in “fenjie” 分解. So in Feng Shui, through understanding and through finding an explanation for our fears, we can transform or neutralize the Sha Qi, often with an object that is a symbol, which can remain us every time we become aware of it, where our fears came from and how we can transform it or neutralize it through our conscious awareness and understanding. To translate “Hua Jie” or “Jie Hua” as a “Cure” gives an impression that the symbolic object that we put up will do the work for us, whereas in reality, the object used is just a symbol, we in fact do the work of transformation and neutralization through our conscious awareness and understanding, when we come across different kinds of Sha Qi in Feng Shui, which made us feel uncomfortable in some way. The Bagua mirror is not going to get rid of the Sha Qi coming towards the front door, the occupants are going to do it by using the mirror as a symbol of reflection, to understand that the Sha Qi is not some kind of physical force, but a formless potential and tendency that might or might not happen. For example when the front door is opposite a T-junction, which in Feng Shui is called a “T-Junction Sha” that could give rise to the fear that a car might fail to turn the corner and come straight into the house and at night time it can be annoying when the car lights turn on and off at the house as the cars turn the corner. The best way to handle this worry is to avoid it, but if we cannot avoid it or get rid of it physically for some reasons, then we can “Huajie” the situation for the time being with a Bagua mirror hanging above the front door. Where is your Luoshu Centroid? A Zhongxin requires a boundary to locate, so the space in question has to be enclosed somehow to have a physical centre that we can locate with geometry, it is “below form” 形之下 that is a concrete thing. A Taiji is where the Yin and Yang meet, it could be the meeting place between the active and the passive and the substantial and the insubstantial of a house. It can be an open space without an enclosure and it can even be where we spend most of the time, like the location of the pillow upon which our head rests as in the Xuan Kong Liu Fa School of Feng Shui, because according to this school it is our mindset that has to decide where the Yin and Yang would meet. Also since we have to decide, we will need to know what constitute an item under consideration, hence the popular saying, “One item one Taiji” 一物一太極, to guide us to decide on things like whether a home-office or a unit in a housing complex should have its own Taiji and its own chart or not. In contrast, a Tianxin or a Heaven’s Heart is “above form” (an abstract idea); it can be looked upon like seeing the situation from heaven above to locate the reference point on earth below. For example, if I were to find out in which direction I should travel according to the yearly Flying Stars, I would have to decide: do I use my house as the Heaven’s Heart? Or the city I live in or the capital of the country I live in and so forth. Without deciding on the Heaven Heart for a reference point, I would not be able to find the four cardinal directions to calculate in which direction to travel, just like the red cross-hairs or the “Tianxin Shidao” 天心十道 (the Cross of the Heaven’s Heart) on a Luopan compass that we use to read the directions in a Feng Shui audit. As we can see, sometimes the three terms can refer to the same point and sometimes only one or two, it depends on the situation under consideration and whether we are referring to something concrete or abstract, something manifested or un-manifested, as a place or as an idea or as something in-between for a reference point. The more traditional practitioners are less concerned with accuracy and more with efficacy, so instead of casting the Luoshu Flying Star chart over the floor plan like the modern practitioners tend to do, they simply put it to one side and do their audit from comparing the two diagrams (See sample below from “Zhaiyun Xinan” 宅運新案 – a classic of Flying Star Case Studies published in the 1920s). MONA – Museum of Old and New Art Hobart Tasmania. We visited this very interesting and very popular museum not far from the City of Hobart recently and I think its success has something to do with the Water Dragon Qi. Of course the vision and the drive of the owner David Walsh also has a lot to do with it. We drove there by car but it would have been more exciting to arrive by boat. The Water Qi gathered in the bay in front of Hobert is able to transported to the site and within the site there also a gradation of “Juqi” (Assembled Qi) to feed it into the museum located underground between two existing buildings by Roy Grounds, one of the leading Australian architects of the modern movement. The front of the complex faces S2 so it has a “Double Timely Stars Arriving at the Facing Palace” chart – very good for wealth and locate it underground gives the Gua Qi support for the timely Mountain Star as well. I will talk about the The Five Aesthetic Principles of Feng Shui in the forth coming The 10th Annual Feng Shui Society’s Conference, 14-15 May 2016 (Sat-Sun), London UK and will touch upon this building in more details. Correlative Thinking and Feng Shui. Have you ever wonder why there are two main schools of Feng Shui, namely the Form School and the Compass School, and not just one? Why do we need two of them? What are their main differences that we would need one to support the other? These questions can be partly answered by looking at their Chinese names. In Chinese, ‘Form School’ is called either ‘Xing Shi Pai’ 形勢派 or ‘Luan Tou Pai’ 巒頭派. ‘Xing Shi’ literally means ‘Form and Configuration’, that is we look at the smaller and visible parts in our environment and see how they would relate to each other to form a larger configuration, that is how they would group together to form a whole, this process is not unlike playing with children’s wooden blocks to form a recognizable construction. Another name for ‘ Form School’ is called ‘Luan Tou Pai’, which literally means the ‘Mountain-Top School’. Why mountain tops? Because if we look at the mountaintops of a range of mountains, we can see and follow their rise and fall to get an idea of how the landscape would behave from Point A to Point B. Both these Chinese names implied that we would use observation and analysis to do our ‘Form School’ Feng Shui, and in the process we are dealing with something that are tangible, they have form and are visible. To these things that are manifested, and quantifiable, the Chinese would say they have ‘Form Qi’ or ‘Xing Qi’ 形氣, as compared to the opposite, to things that are intangible, formless and invisible. These things that are un-manifested and not quantifiable, the Chinese would say they have ‘Formless Qi’ or just ‘Qi’. There is even a character for Form Qi 氣 and another for the Formless Qi 炁 even though they sound the same. This is where the term ‘Li Qi Pai’ 理氣派 for Compass School of Feng Shui comes in. ‘Li Qi’ in Traditional Chinese Medicine has the meaning ‘to regulate the flow of the Vital Qi and remove obstructions to it’. In Feng Shui the aim is similar, but it is not ‘Vital Qi’ (Qi that keeps us alive) that we are concerned with, but the ‘Formless Qi’ or just the ‘Qi’ of the environment. Thus ‘Li Qi Pai’ can be translated literally as ‘Regulating (Formless) Qi School’. To regulate implies that we have to keep a balance, but the Qi that we are working with is intangible, it has no form, it is invisible and not manifested, so how are we to this? With the compass and with correlative thinking is the Chinese answer. We start with something that is measurable, like measuring the sitting and facing of a house, or the top of a mountain, or the direction of the coming and going of the water with a compass. This measurement is then correlated to a set of values and numbers to create a pattern language. By interpreting the resultant pattern with a set of rules, we can get an understanding of how the invisible and the intangible are related to each other. With this insight we can ‘read’ the Formless Qi by comparing it with the Form Qi, so the seen and the unseen, the form and the formless, the manifested and the un-manifested can come together, to enable us to find the in-between that is appropriate to the situation. This is exactly how a Compass School method like Flying Star works in Practice. We start with the time of construction of a house and then correlate it to a 20-years Period with a Trigram and a number, this number then become the Period Number, which can fly through the Nine-Palace with a fixed pattern. Then we do the same with the sitting and facing of a house, the compass measurements are correlated to a set of Trigrams and numbers and with these numbers and the agreed upon flying sequence we can make up a Flying-Star Chart. We then interpret this pattern language with a set of rules, based on the Five-Phase relationships and the concept of timeliness and ‘Host and Guest’, etc. We then compare our interpretation of the numbers or ‘stars’ with what we can observe in the Form School Feng Shui, and together with the Yin and the Yang of what is visible and observable in the Form School with what is invisible but calculated in the Compass School, we can do our analysis and come up with some efficacious suggestions for our clients to consider. Correlative thinking in Compass Feng Shui is unlike the analytical thinking we use in Form School Feng Shui. Analytical thinking observes and examines things in detail in order to learn about them, so the process can be repeated and is predictable. It is diagnostic, methodical, logical and systematic. Whereas correlative thinking uses a conceptual framework of correlations to make sense of the same phenomenon, the outcome is not so much in learning about things individually but how they are related to each other, so there is mutual resonance to achieve efficacy. Correlative thinking is more concerned with the original character of a thing under consideration instead of diagnose it. Correlative thinking is more intuitive; it is not methodical or systematic. It tends to be multi-valent and vague in the sense that it relies more on inspiration than on facts. Precisely because the Chinese believe that everything has Qi and has Yin and Yang, so there are Form Qi and as well as Formless Qi, also correlative thinking as well as analytical thinking to make sense of things holistically, that we need both the Form and Compass School of Feng Shui to do our audit and analysis properly. However, the pressing issue in modern day Feng Shui is that many practitioners do not understand or know the working of analytical thinking as compare to correlative thinking, these people often take the correlations analytically and literally. A classic example is the 5 Yellow Earth Star, which is not a real star in the night sky but a correlation for a quality that is sitting in the middle of a situation and has the ability to connect in all directions. It is liken to an emperor sitting on its throne, it can be powerfully good when it is timely and it can be powerfully bad when it is untimely, so when we see a combination like 2,5 where the 2 Black Earth star is correlated to sickness and the mother of the house, these people would say literally that the 2,5 combination will cause the mother to have untimely disaster or even get cancer of the stomach! This is a gross misunderstanding of correlative thinking, it is like just because you were born in a certain year you are correlated to a Dog or a Pig, it does not mean that you are a dog or a pig literally, these labels are only used as a metaphor to get an understanding of your potential character and tendencies, and we need to observe you in detail to see if that is the case. Somewhere between the observations, the calculations, the analytical and the correlative thinking, we can find the in-between and know a little more about you, so as consultants we can help you make better decisions. That is how Chinese correlative thinking works in practice. There seems to be a lot of fearful talk lately on the feng shui forums and chat rooms about the “Kong Wang” line. It gets our attention when it is translated as a “Death and Void” or a “Death and Emptiness” line, when in fact it should be more aptly translated as a line of “Lost Space”. Since “Kong Wang” refers to a situation when the actual sitting and facing of a house or a tomb site is impossible to obtain. But because different schools have different ways to calibrate space, it is impossible to define what constitute a “Kong Wang” line universally. A “Kong Wang” line for one school may not be the same for another. What is empty is in fact not empty. Then you can travel anywhere on earth. The spatial arrangement is lopsided. Note: “Zhong” refers to a reading in the exact middle of a “mountain”, whereas “Jian” refers to a reading close to the boundary between 2 “mountains”. As I said earlier the character “Wang” 亡 need not be translated as “death”, it can be translated as “destroyed” or “perished” as in something that is not clear or “lost”, and “kong” 空 need not be translated as “void” or “emptiness”, but referring “space” as in “kongjian” 空間, so “Kong Wang” need not be translated as “death and void” or “death and emptiness” but “lost space”, which means when the compass needle is sitting right on a line separating two Mountains, then we cannot read the Yin/yang of the Gua Qi of the space, but there are always the physical observations, with our five-senses and with our heart-mind, which we can use to make the adjustment, so the reading is not lost or perished or destroyed (“wnag”), and the law of Feng Shui has not broken down as some would claim. There are in fact temples and sacred buildings in traditional China that deliberately sat on the “kongwang” lines, to show that these buildings can transcend the Yin and Yang dialectics of this mundane world we live in. Tags: "Death and Emptiness", "Death and Void", "Kong Wang" lines, :Line of "Lost Space"
When we were visiting the Wanan Wu Luheng Luopan Makers (http://www.wawlhld.com/) in our last Feng Shui Study Tour of China 2015, Master Wu Zhaoguang 吳兆光 gave us some hints on how to care and how to store away the Loupan compass properly. He said when we have to store them at home of carry it in our brief case, it is always better to store it vertically in a protective case and away from any electromagnetic influence, and when we have to store it on the horizontal and not moving too much, then is is better to turn the Luopan compass face down so it will be harder for the needle to be influenced by other sources of electromagnetic radiation. He said the worse thing is to drop the Luopan on a hard surface, because once the needle jumps out from its point of rest, we have to replace with a new one and that is quite expensive. Below are a couple of pictures to show how to store the Luopan Compass in a simple and safe way. Tags: How to store away the Luopan Compass, Wanan Wu Luheng Luopan Makers, Wu Zhaoguang. What I learned from the 2015 Feng Shui Study Tour of China. Part I. Resolving the “Magnetic North v True North” controversy. Whether we should measure directions in feng shui using the true north or the magnetic north has been a question around for 100s of years. I remember having a yearlong argument with Robert Matusan Boyler a few years back, when he insisted on using the true north because that was what the Chinese first used to measure directions according to the sun angles, or the true north. On this trip we had the chance to visit one of the oldest Luopan makers in China, the “Wu Lu Heng” 吳魯衡 Luopan store in Wan-An 萬安 and also its Luopan museum. At the end of our visit we had a chance to interview the store owner, Mr. Wu Zhaoguang 吳兆光, who is an 8th-generation direct descendant of the original Luopan maker, Mr. Wu Luheng. Since they make both the Rugui sundial and the Luopan compass by hand since 1723, I asked Mr Wu what was their difference? He replied that the Luopan is used to measure the geo-magnetic influence of the earth via directional reading with the feng shui compass, whereas the sundial is used to tell the local time and also used to select an auspicious time to act in feng shui. He then showed us how to use the Rugui sundial and no reference was made at all to directional readings. In other words, the sundial is not used to measure directions it is used to measure time instead according to his family tradition. Mr. Wu also mentioned that the Chinese character for magnetism, Ci 礠, has the same root and the same sound as for the character Ci 慈, meaning compassion, which implied that we have a sympathy with the earth’s magnetic field and that it is part of the Earth Qi we want to connect to in feng shui. The Rugui Sundial and the Luopan Compass. Mr Wu Zhaoguang, owner of the Wu Lu Heng Luopan store in Wanan. Tags: Feng Shui Study Tour of China 2015, Robert Matusan Boyler, true north v magnetic north controversy, Wu Lu Heng Luopan maker of Wanan, Wu Zhaoguang. 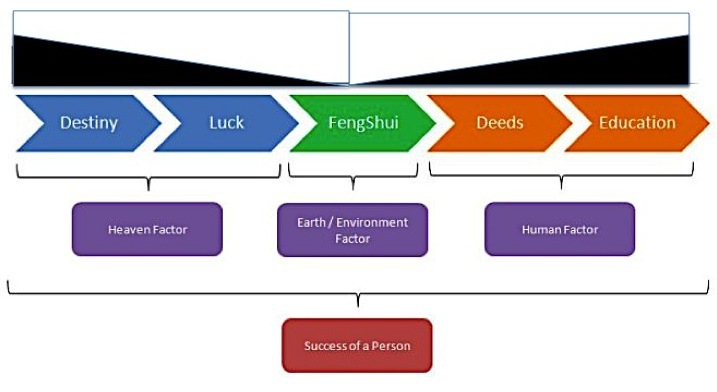 When it comes to feng shui, the mechanism for qi connection is not that dis-similar, one needs to create Yin and Yang and then link them up for the qi to connect and flow. 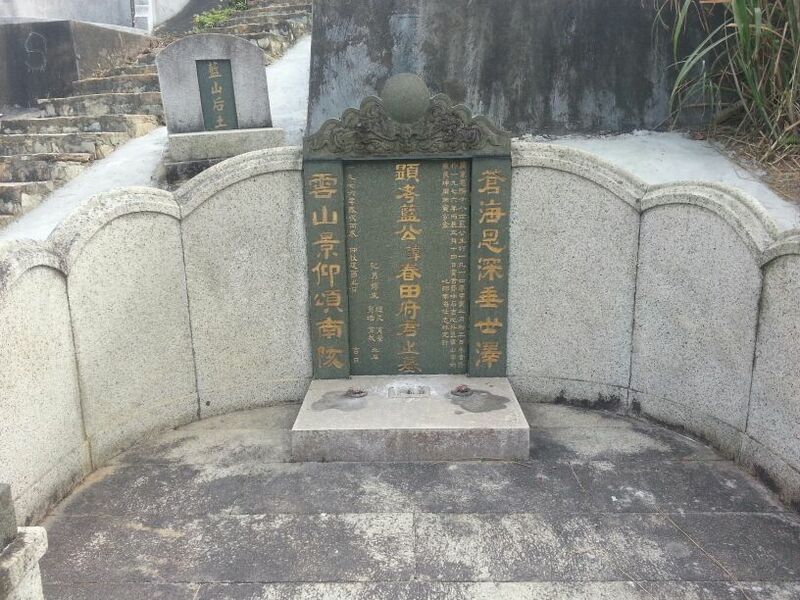 In Yinzhai feng shui, the yin and yang connection is between the living and the dead, and as long as the living is respectful of the dead and the dead can inspire the living, then there is qi connection; the rest is just ritual and protocol to formalize and to “activate” this connection. In Yangzhai feng shui, the yin and yang connection is between the occupant and his or her environment via placement of objects and location of rooms etc., and as long as there are mutual interactions between the animate and the inanimate, by creating yin and yang consciously, then there is qi connection. For example, if we put the bed against a certain direction that would create an awareness of desirability and undesirability, then our conscious awakening of this ritualistic choice will connect the qi between the bed and us. Whether it is done from the head, from the feet or from the heart etc. does not matter, some system even recommend it should be done from the air-conditioner to the room! What we ended up doing in compass feng shui is to create a ritual of various sorts, using object s and space in our environment by way of compass directions as a medium, to heightened our awareness of our everyday environment that we live in and make it extra-ordinary for us. Lets look at the placement of a bed again, everyone sleeps in a bed, by putting it in this particular direction and not that direction, with what we believe is a good feng shui direction, we will make this bed now something special, it is not just an ordinary bed, but a bed that is specially located for me and it will have the potential of bringing me health and vitality and things that I will need. It is just like deciding to marry this woman and not that woman, and to go through the ritual of a marriage ceremony to swear to Heaven that we will love each other until death, that will change us from an ordinary to an extra-ordinary person for each other. A conscious awareness of a particular item in our environment can connect the feng shui qi to us, and a meaningful ritual will activate it. It is that simple: we highlight the various aspects of Yin and Yang (for example, light and dark, substantial and insubstantial, facing and sitting, etc.) of a space or an object and the conscious awareness of its Ji and Xiong (auspicious and harmfulness) and our deliberate preference will connect the feng shui qi and turn an ordinary space or an object, like a living room or a desk, into something extra-ordinary by its rearrangement. The feng shui ritual we performed will “activate” this connection, so there is “ganying” or mutual resonance between our environment and us and changes for the better will take place when there is connection and resonance. 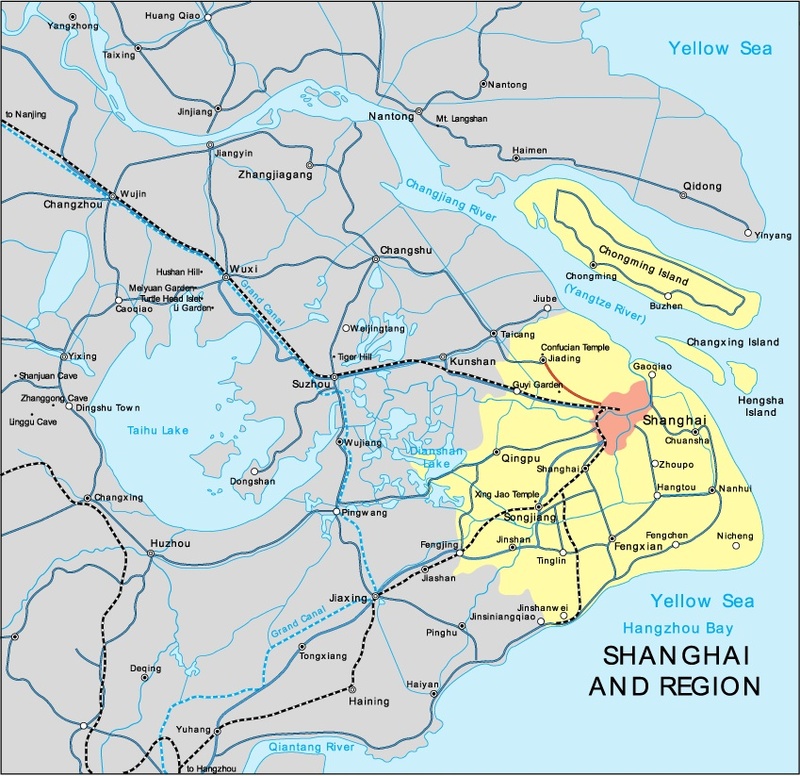 Shanghai is China’s largest economic centre, it has a population of over 16 millions and covers a total land area of approx. 6,340 square kilometres. What makes it so prosperous is its unique location and special “pinyang long” 平洋龍 or “flat land with water dragon” feng shui. Unlike other major in-land cities in China, like Chongqing and Beijing, which have the support of mountains at the back and a generous “Mingtang” (open space) with water in front, Shanghai is a coastal city on a flat plain, with less than 4 meters above the sea level in general. But form-wise Shanghai, unlike other less prosperous coastal cities like Tianjin and Guangzhou, has many lakes nearby and is surrounded by rivers and embraced by the sea. Luosh-Bagua-wise, Shanghai is located in the Zhen palace to the East, which is associated with the Wuxing (the Five Phase) of Wood, and since Water generates Wood and Wood represents growth and prosperity, Shanghai is uniquely prosperous in this regard, having plenty of Water located in the Wood direction. Since “Mountain is associated with Health and Water with Wealth” “山管人丁水管财” and Shanghai has plenty of water because of its unique geographical situation, Shanghai is in a special economic position and the city gave birth to a number of national leaders, famous scholars and celebrities from the sports and the arts. Feng Shui for “Better Homes and Gardens”. Times like this I have a feeling I have been in the feng shui game for too long. I have no idea who will read the articles on feng shui that I wrote for the Better Homes and Gardens magazine back in 1993 and I did it for 3 or 4 years. It is heart-warming now to know that they did make some impacts on some people’s life in a small but positive way. Thank you for sharing Jan. I hope this email finds you well. I have an amazing story to tell you. I was sorting through some papers of my Mother who passed away in 2010. In her papers I found this photocopied article on you dated 1993 from Better Homes and Gardens magazine. What is so interesting is that we were living in Zimbabwe at the time (no idea how she had an Aussie article) and she told me about Feng Shui, her and I bought a book and started to feng shui our homes, friends homes etc. Some things worked, some did not but it started my passion for Feng Shui. So when I came to your class in 2012 I had no idea that you and this article had been the reason for my whole Feng Shui journey. Is Feng Shui an Art or Science? I have been asked this question again, “Is feng shui an art or a science or something else like a philosophy or Environmental Psychology?” It s a difficult question to answer or even a wrong question to ask, since the Chinese don’t put things in a pigeonhole like we tend to do in the west, their world-view is that everything has qi and everything that has qi has yin and yang and they are all interconnected. So feng shui has some art, some science, some philosophy and some psychology in it but nothing of the kind on its own, it sits in between all these labels with qi acting like a continuum, and as soon as we try to pin feng shui down to one thing, it loses its meaning and vitality, not unlike trying to pin a butterfly down to find out what is a butterfly. Instead, we can appreciate what good feng shui does by looking at the inter-relationships between all things in our environment, how they would affect us and how we can respond to them in a harmonious, constructive and meaningful way. To me feng shui is not a noun (or a label) it is a verb. Tags: Is Feng Shui a Science? definition for Feng Shui, what is feng shui? 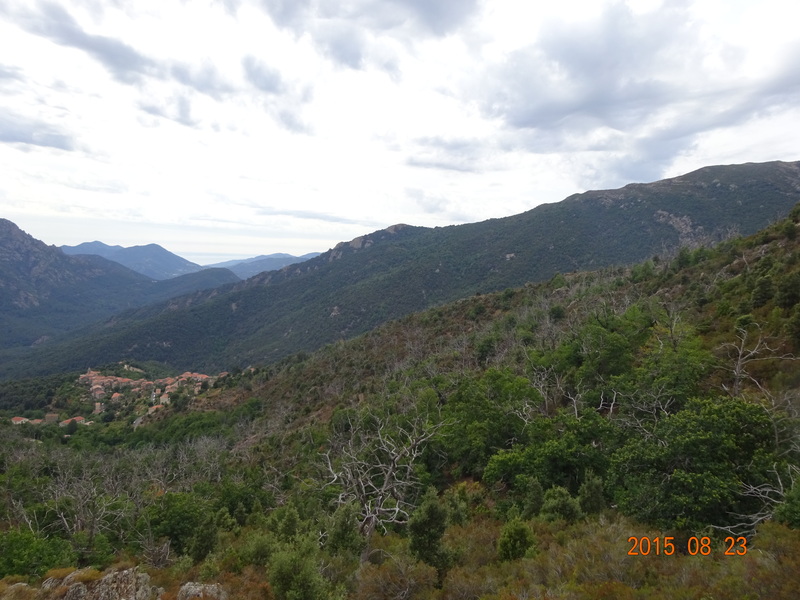 Riding the Dragon in Corsica. It always amazes me that although other cultures don’t have feng shui, we often locate and build our cities, villages and houses the in same way using feng shui, whether we are conscious of it or not. 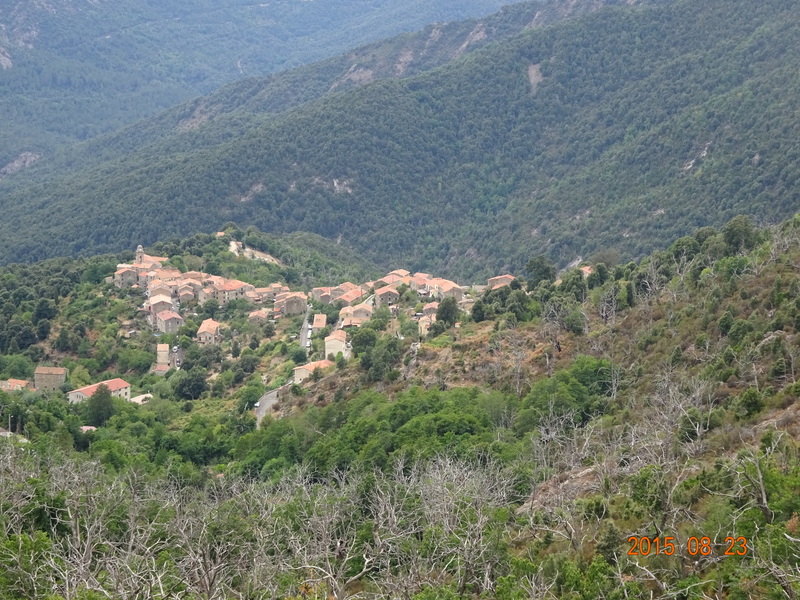 We went walking from a village called Soccia to the Creno Lake (1310 M above sea level) in the western part of Corsica yesterday and on our way back down the mountain, I noticed that the old village of Soccia (650 M in altitude), with its granite houses, is built along a ridge branching out from the top of the Monte Retondo Mountain. 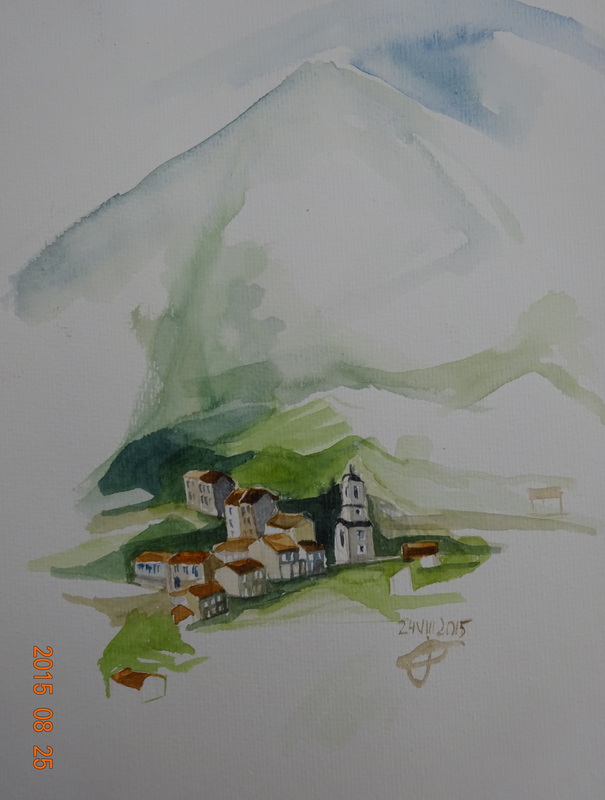 It is a classic case of riding the Dragon Vein in feng shui, with the village church right at the end of the Qi flow, sitting on a rocky spur projecting out onto the Fiume Grosso Valley. The church is the most important building in a traditional European village and it collects the Dragon Qi of the land, as it should. In feng shui we say this is a Yang way of locating a site; in contrast, the village we are staying in is located in a wok-like landscape, protected by mountains on three sides and facing the warm South sun, it is a classic case of a Nest Formation and is considered a Yin way of sitting (see water colour painting by my wife Gyda in the last photo). 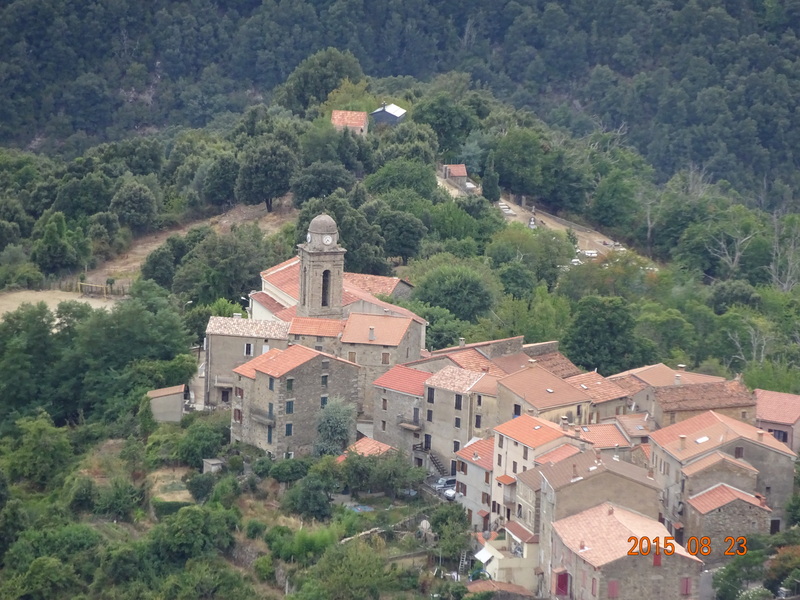 But I am sure the Corsicans don’t know anything about feng shui and don’t have any of these feng shui terms I mentioned, but they do it the same way as the Chinese would, in sitting their traditional villages in far away China. To me, from this perspective, the application of feng shui is quite universal. 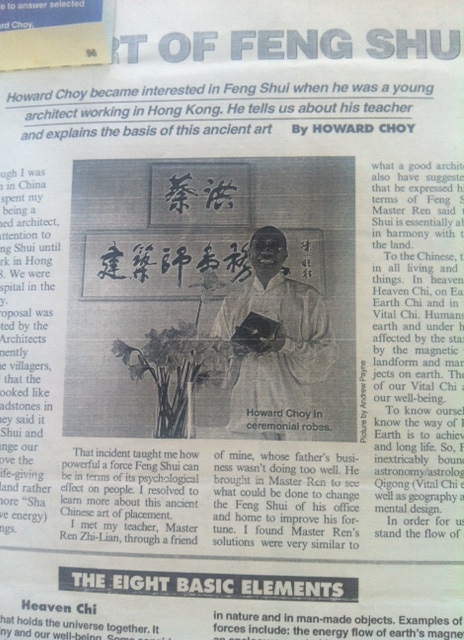 My first feng shui teacher, Master Ren Zhi-Lin 任志林 was not famous in Hong Kong, instead he was one of the “crouching tigers and hidden dragons” for me. (“crouching tiger, hidden dragon” is a Chinese idiom meaning an unknown person with hidden talents and good skill). Although Master Ren is not well known, he has produced some famous students like Master Long Jing-Quan 龍景銓, who is the Feng Shui master behind the Hong Kong and Shanghai Bank, so in a way Master Long is a Si-Hang (an older brother in learning) to me. 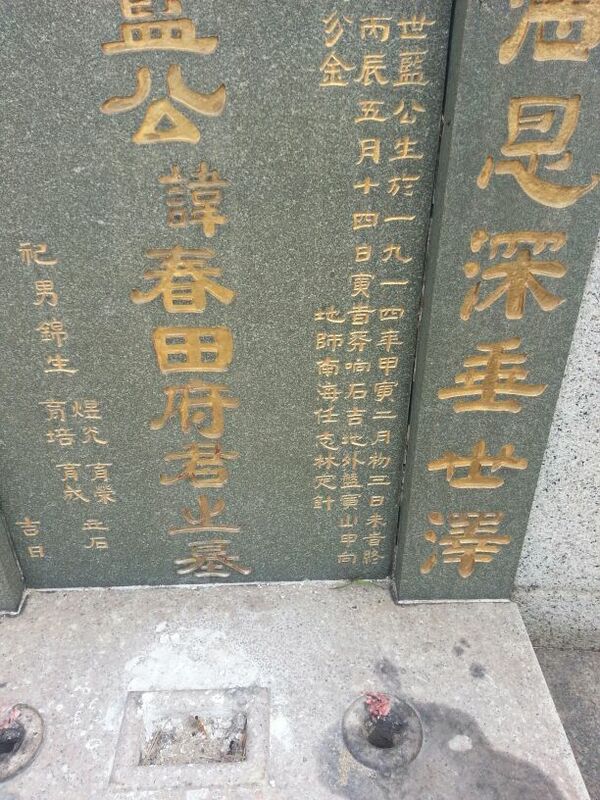 Master Ren came from a San He lineage and he does both Yin Zhai and Yang Zhai feng shui (feng shui for graves and feng shui for dwellings), below you can see a couple of pictures of his handy work, a close-up picture shows his name on the third line to the right of the grave markings. We spent two years (1978 – 1980) together, doing 2 sessions of one-to-one lectures and theories each week and on the weekends I would accompany him to do feng shui for a client on site. He lived in a very modest tenement housing estate and called his business “The Purple Cloud Studio”. When I left him he gave me his San He Luopan compass. 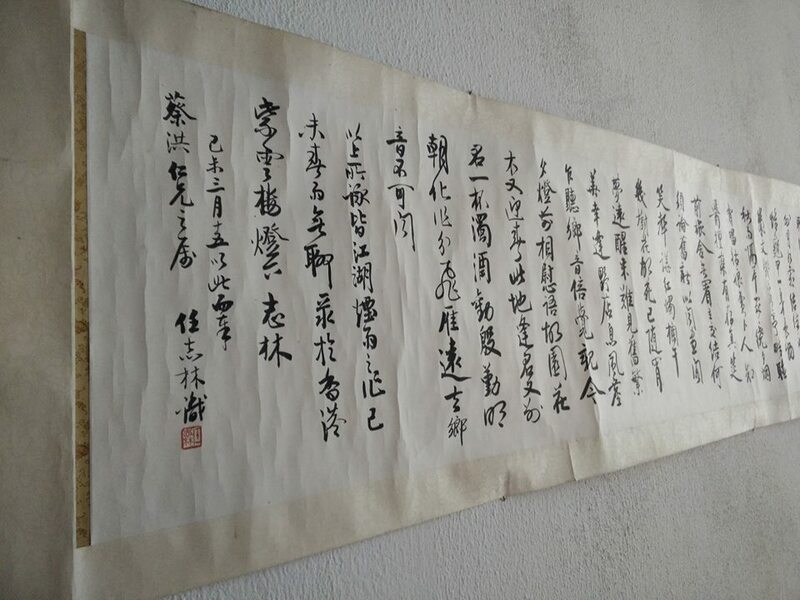 a set of hand-written notes and also a long scroll of his calligraphy (you can see a picture of his writing below), which I have hang up in my study to this day. He knew I have found my vocation in feng shui and left these gifts for me as a token and an encouragement to carry on his work. I am still fulfilling his wish, even though he passed away a few years after I return to Australia. I have studied with many other teachers since, but because he was my first teacher and I was young and impressionable, he still remains the most outstanding and memorable master for me. If it wasn’t for him, I would have given up on feng shui long time ago, he trusted that it was my fate and destiny to be a feng shui architect, consultant and teacher. Tags: Long Jing-Quan, my first feng shui teacher, Ren Zhi-Lin, The Purple Cloud Studio. From Fake Watches to Fake Europe. 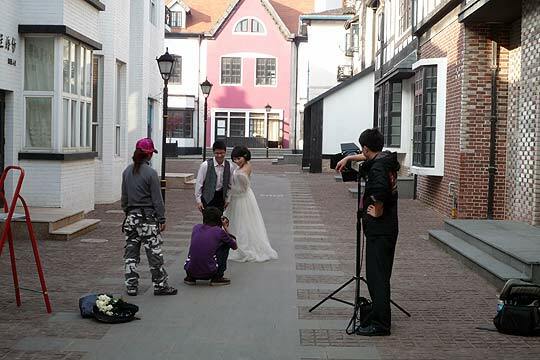 Faux-European Towns in China don’t have good feng shui, many of them become eerie ghost towns. The reasons being that they are fake places and we find it hard to connect to them and feel comfortable living in them. The Chinese would say they have “wu-qing” 無情 or they have no feelings and affections. ”A good Dragon and a good Liar has real affection, the formation comes alive when it is genuine”. When it is a copy of a far-away place with a different culture and a different world-view, the results are often fake and false, they don’t come alive and so no one wants to live in them for long, except to take some pictures and then move on. 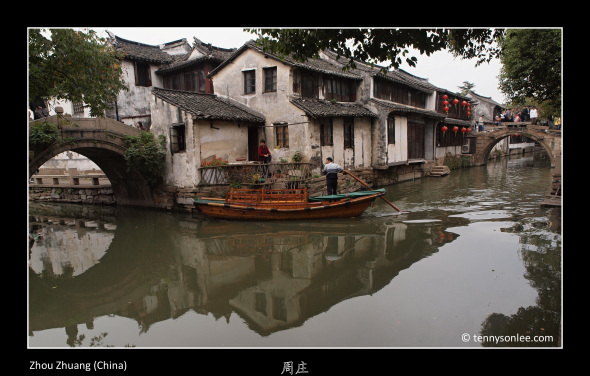 Tags: fake cities, Faux-European towns in China, wu-qing. Many students at the beginning of their study are worried and put-off by the initial perception that there are lots of confusions, inconsistencies as well as disagreements between the different Compass schools, but they tend to forget that there is, in essence, only one Form school feng shui and this Yin Yang contrast is part of the working of feng shui. Our mind, when observing reality, can come up with many different theories and explanation for the same experience, but what we can see is essential the same and the ancient Chinese realized this, so they want us to let go of our “monkey mind” and meditate on the situation in order to avoid the pitfalls and to take best advantage of the situation. The way it is done in feng shui is to use correlative thinking to come up with a set of numerical pattern language, like a Bazhai or a Flying Star chart, and in the process of analysing the numbers, something enlightening would come through just when we think it is very complicated, not unlike using mathematics as a form of meditation or a silent contemplation with an image of a Hexagram casted with the Yijibng. The Chinese called these methods “Shu Shu” 術數 or the Art of Numbers. The trick is not to worry which Compass school is correct or which Compass school is authentic, but to adopt one that appeals to you and use it to help you go through the process of “thinking without thinking” or “mind without mind”, and in the process get rid of your extraneous theories and explanations about what you can see and see it as it is, for what it can do to help your clients to live in harmony with their environment the best way possible, which is the ultimate aim of good fengf shui. The problem with most beginners is they don’t understand this idea of “Wuxin” 無心 or “Without Heart/Mind”, instead they become “Youxin” 有心 (too much mindfulness) and saw too much and think too much and come up with too many worries and fears that are not really there. But with time and experience, they can master the Art of Numbers and learn to see the form and configurations of the environment in its true light to help their future clients. It takes time and patience to master the art of feng shui. Tags: confusions with feng shui, the Art of Numbers, Wuxin. The Origin of the names for the 5 Pentatonic Notes in Chinese Music. The other day Boyler wants to know how the names for the five pentatonic notes (Wu Yin 五音) in Chinese music came about, why are they called Gong 宮, Shang 商, Jue 角, Zhi 徵and Yu 羽 for the equivalent of do, re, mi, so and la in the western musical scale. 1) According to ancient astronomy: Those were some of the names for the 28 Lunar Mansions. For example: the first note “Gong” represents the “Zhong Gong” 中宮 or the Central Palace in the center of the 28 Lunar Mansions, the other four notes are drawn from the rest of the star configurations. 2) According to domesticated animals: The five domesticated animals, namely the Niu 牛 or Buffalo. Ma 馬 or Horse, Zhi 雉 Or Pheasant, Zhu 豬 or Pig and Yang 羊 or Goat, sounded very similar to Gong, Shang, Jue, Zhi and Yu. These are also five of the 12 Zodiac Animals representing their respective Earthly Branches at the same time. 3) According to ancient tribal totems: With their clan or family names similar to the names for the five notes. 4) According to the ancient sovereign ruler and the ruled: The musical classic “Le Ji” 樂記 mentioned, “Gong is for the sovereign ruler, Shang is for the officials, Jue is for the people, Zhi is for national affairs and Yu is for public properties. Whether the theory has its origin in ancient astronomy, domesticated animals, tribal totems or sovereignty, having different ways to explain the origin of the names for the five notes indicated that music to the ancient Chinese served many different kinds of purpose for different occasions. Their particular choice of names gave ancient Chinese music an additional sense of mystery, pure simplicity and a colorful sense of feudal aesthetics, reflecting the different concepts about music held by the ancient Chinese. 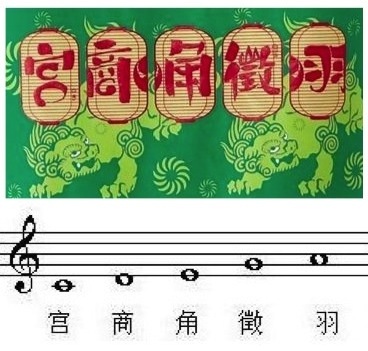 The choice of five instead of seven note in the Chinese musical scale, with “fa” and “ti” missing, is also interesting, because Five Notes fits well in with the Five Phases in Chinese philosophy and the Five Organs in Chinese Medicine, but that is another story…. The first black triangle at the top implied knowing our destiny and our luck is the most important, that is the Heaven factor controls the success of our life; the second implied doing good deeds and education is most important, that is the Human factors can make the difference and change our fate to make our life a success and the third implied feng shui could bridge the two through knowing and know-how, it is the in-between approach, using the Earth factor (our environment) to enable Heaven and Human to become One (Tairen Heyi 天人合一) to make our life a success. Which one of the three makes most sense to you? 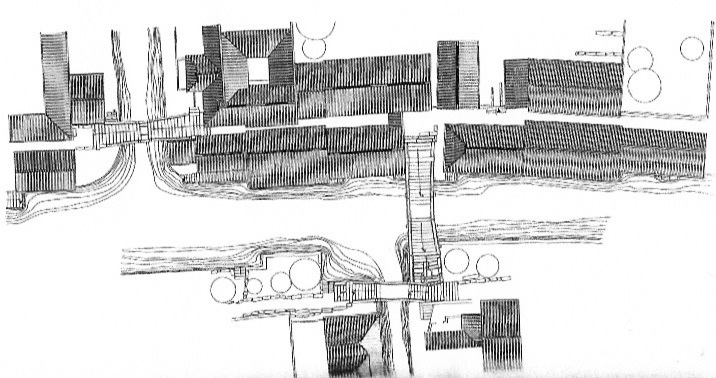 Site Plan of the Twin Bridge showing a typical single courtyard house between the two bridges. 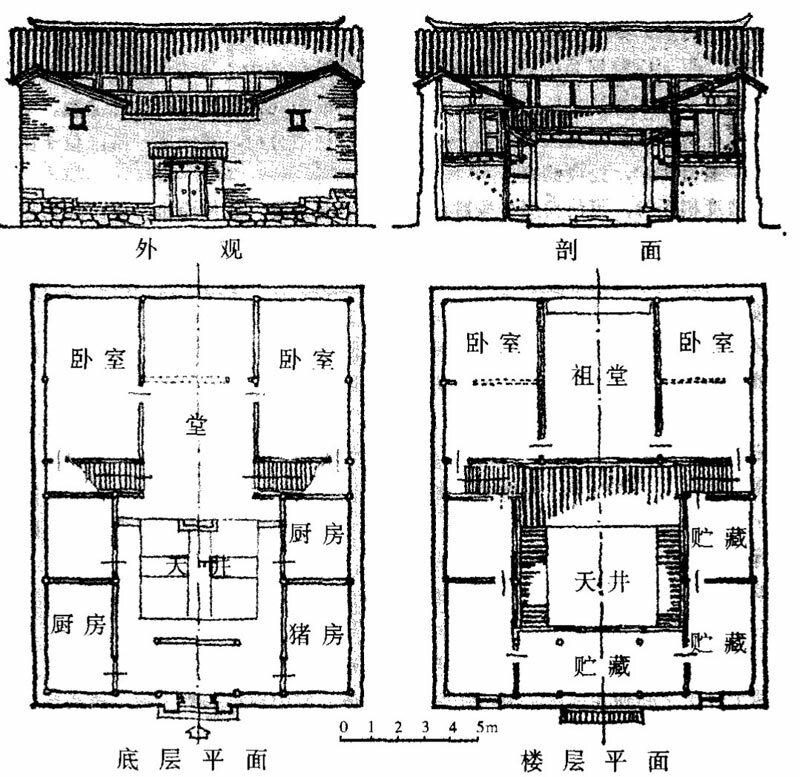 Plans of Lower and Upper Floor of a typical Jiangnan Courtyard House with its Front Elevation and Section.